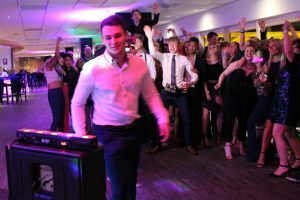 We are based in Swansea and have established an excellent reputation in the entertainment industry. We are one on the most established DJs in the area nearest to you. We make sure that we keep the audience happy by playing a mixture of requests, our experience with the music and the type of function we are working in. 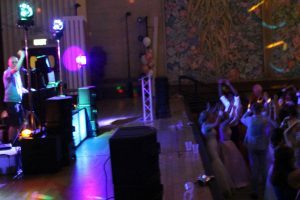 We believe that we provide a top quality DJ and party service in Swansea. We are always polite and do our best to please the audience. Though the years we have kept up with technology and look at different ways to improve the DJ we provide in Swansea. We regularly check our equipment to ensure that we provide the best service we can. 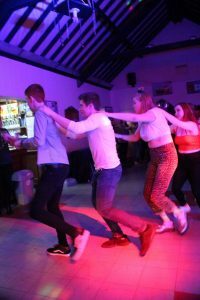 We have done discos throughout the whole of the Swansea region including Gower, Llansamlet, Gorseinon and the city centre. 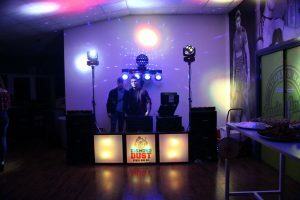 We are able to DJ at weddings, birthday parties and children’s discos. This is DJ Diamond Dust in Swansea with DJ Ethan Gray and DJ Tom Hyatt at Lewis Jones Bar in Gorseinon. 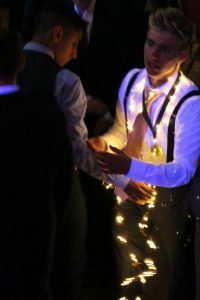 We are available for wedding, engagement, birthday, UV teenage discos and kids parties in Swansea.